I heard through the grapevine a few months back that Ebony was undergoing a major redesign. “Fantastic,” I thought to myself. It was long overdue and embarrassing what Ebony had become visually in the last two decades. 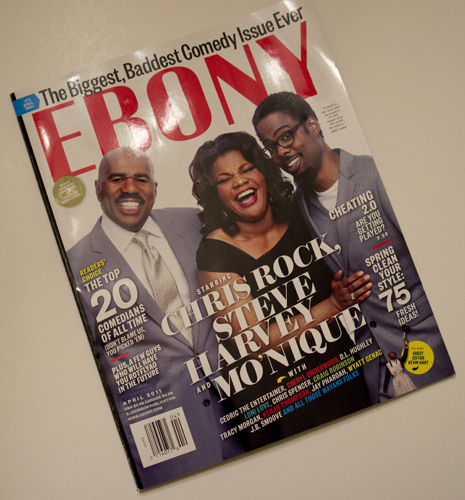 Growing up, I remembered the huge tabloid issues of Ebony looking like the black LIFE. The beautiful images, the grandiose features and the gallery styled covers all made me want to work for a magazine one day. That dream came true for me but as time went by, many black magazines just didn’t invest in their design structure like their mainstream counterparts.